This year has been declared the “Year of the Artisan and Skills-Based Education” by government, to promote the diplomas and courses offered by Further Education and Training (FET) colleges in South Africa. This month we will be looking at how to become a hairdresser and what you will have to study to qualify as one. Hairdressers render a variety of services to clients that might include washing, cutting and styling hair. They also perform a variety of chemical treatments which could include perming, straightening, colouring and highlighting. A career in hairdressing can give you an opportunity to work in a salon, a barber shop, perform home-visits or work in an old-age home and even on film, television or theatre sets. 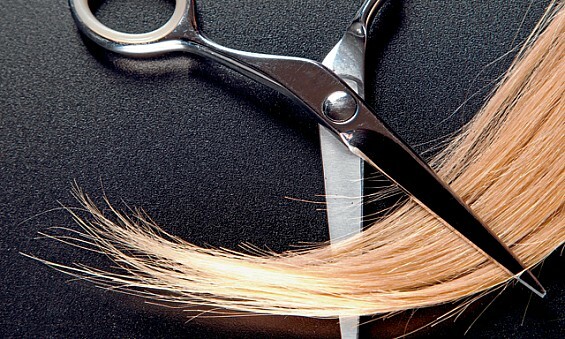 The ability to handle stress – hairdressers often have to work under extreme pressure. Remain positive – you should be able to provide your clients with the best service, regardless of whether you are having a bad day. Enjoy working with people – You will have to work with a variety of people, and you will often not be able to choose your clients. Good at solving problems – Whether you have to find a style to suit a face-shape or whether a client requests an intricate style for an event that incorporates flowers, you will constantly have to think of inventive ways to solve problems. Enjoy being creative – Whether you have to come up with a stunning ‘do’ or a way to inspire new styles and ways to use colour, creativity is an important skill necessary for this occupation. Convinced that Hairdressing is for you? The National Certificate in Hairdressing takes place across level 2, level 3 and level 4. During your studies, you can partake in an apprenticeship at a salon. Here you will work under the eye of a qualified stylist who will also teach you a variety of skills and provide you with real-life experience. After you have completed the necessary curriculum and completed your practical hours, you will be able to complete your trade test. Speak to your college to establish what their requirement are. There are various FET colleges that offer courses in hairdressing. It is always recommended to cross-reference the college’s accreditation. You can visit the SAQA website to see more detailed information about the qualification as well as a list of some accredited providers. You can contact Eduloan as soon as you have decided which school or training college you would like to study at and one of our consultants will be able to give you all the information you require to get the financial assistance to realise your dream of becoming a hairdresser. For more information or to speak to one of our Eduloan consultants, visit our website www.eduloan.co.za.